A long time ago, way before anyone had heard of a blog, I was in college where the football team was pretty good, so getting a tailgating space near the stadium was competitive. Occasionally I dragged a lot of gear to the stadium on Friday evenings to section off an area where I camped and ate with friends. Knowing we would be there for nearly twenty-four hours with just one grill, we should have planned ahead, but hey, we had other things on our minds (I don’t remember what). Figuring out how to eat in a parking lot was an exercise in trial and error, mostly error. Since then I have learned an important rule about tailgating, It’s my version of the 80/20 Rule and it says that you should do 80% of the preparation at home, where you have the conveniences of a kitchen, like running water. Once you get to the stadium, you should really only need to grill. That’s the 20%. 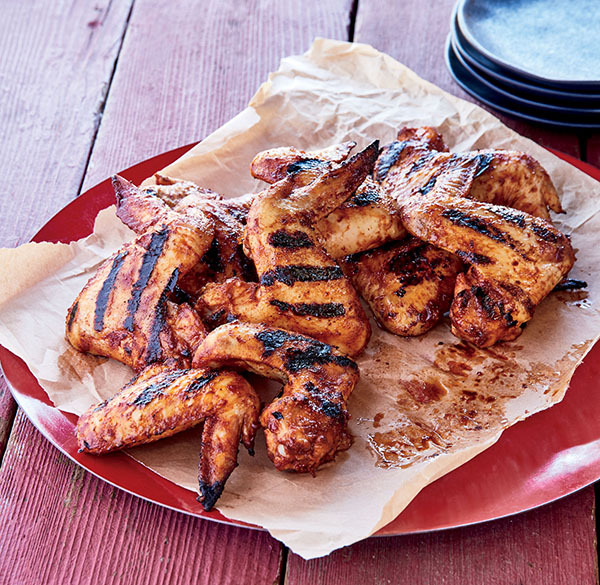 Here are some recipes from Weber’s Greatest Hits that fit that rule well. Make separate containers of the toppings at home. 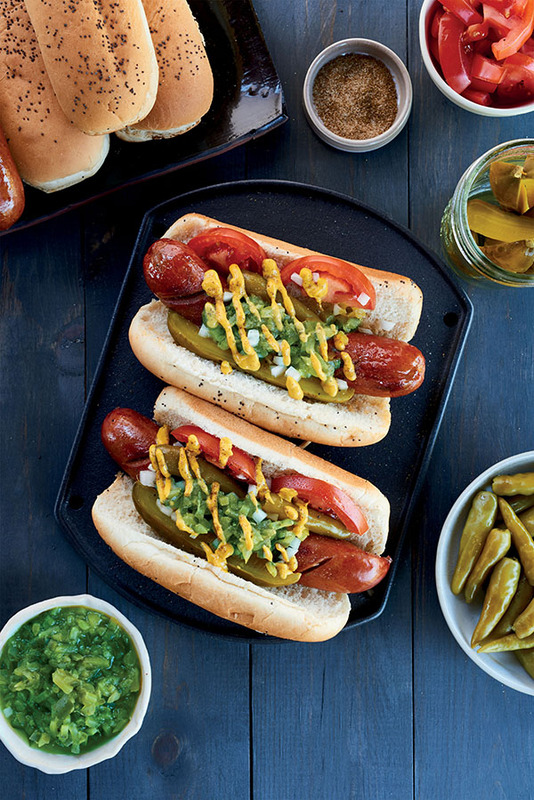 Grill the dogs and top them when you are ready. 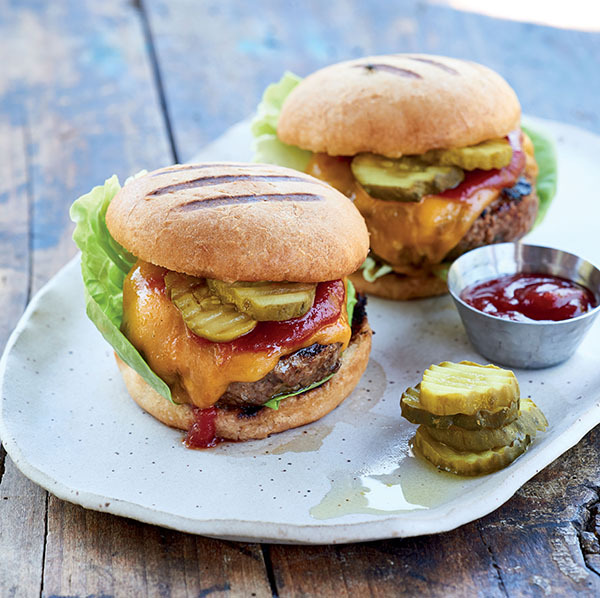 Season and shape the patties in your kitchen. Grill them to order. At home fill a foil pan with sliced peppers, jalapeno, onion, seasonings, and butter. At the stadium, cook the peppers etc with beer and mustard. 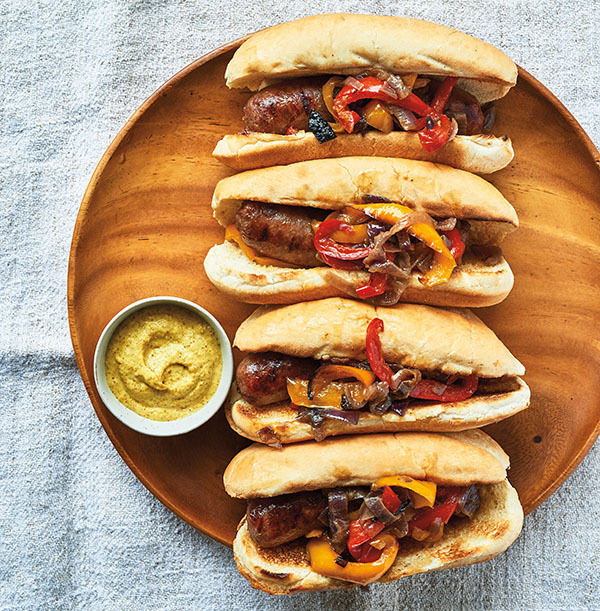 Grill the brats and pat yourself on the back. 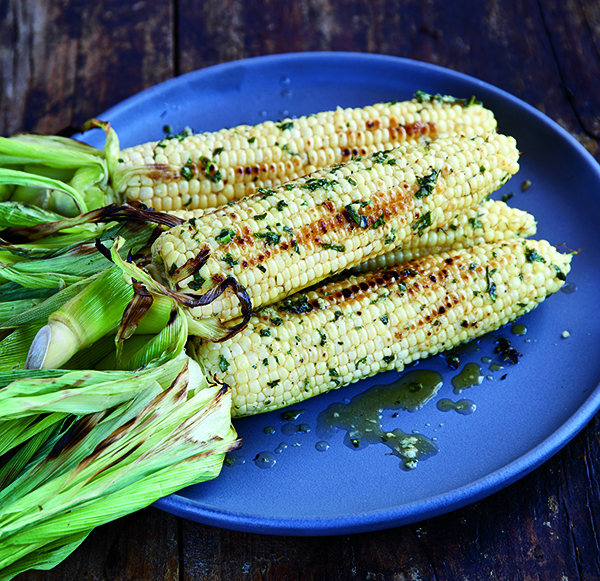 In your kitchen, make the flavored butter and husk the corn. At the game just grill the corn and baste it with butter from heaven. Remember, don’t be like me as a young and dumb college kid. Plan ahead and have a great time.